LG has announced the price of the K10 smartphone, recently unveiled at CES 2016, in South Korea. The South Korean LTE variant of the fashion-focused mid-range smartphone is priced at KRW 200,000 (roughly Rs. 11,000, or $164). It will go on sale in South Korea later this month, and other variants will launch in the global market in the coming weeks. The South Korean smartphone company announced on a blog post that the LG K10 smartphone will come in two colour options: Indigo Black and White. The South Korean LTE variant of the LG K10 features 1.5GB of RAM and 16GB of internal storage, and supports a microSD card slot for further memory expansion. The Android 5.1 Lollipop-based smartphone sports a 5.3-inch HD (720×1280 pixels) resolution display. The handset comes equipped with LG’s signature rear power and volume buttons combination at the back of the smartphone, underneath the camera as opposed to being placed at the side. The LG K10 also has smooth, rounded edges on the sides, meant to give it a premium look. 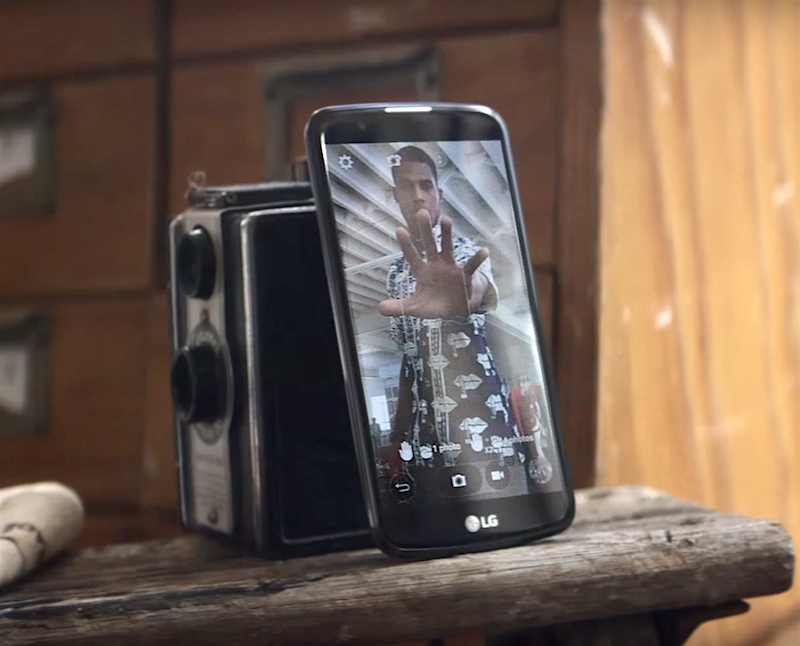 LG launched the K10 smartphone ahead of the CES trade show earlier this month. Aimed at customers looking to purchase an affordable smartphone, the LG K10 sports both impressive design and hardware modules, with several configurations available for different regions. It was launched in 3G and LTE variants, three RAM variants, two processor variants, and two camera variants. The 3G variant packs a quad-core 1.3GHz processor (unspecified) under-the-hood. It features an 8-megapixel rear camera and depending on the market, an 8-megapixel or 5-megapixel front-facing camera. The smartphone is backed by a 2300mAh battery. As for the 4G LTE variant of LG K10, the smartphone will once again depending on the market house a quad-core processor clocked at either 1.3GHz or 1.2GHz, or an octa-core processor clocked at 1.14GHz. It sports a 13-megapixel rear camera along with an 8-megapixel or 5-megapixel front-facing camera depending on the market. LG will offer three different memory configurations for both K10 variants – 1GB, 1.5GB, and 2GB. On the storage front, the LG K10 will house 16GB or 8GB of inbuilt storage. Backed by a 2300mAh battery, the smartphone measures 146.6×74.8×8.8mm. Other features of the LG K10 include inbuilt storage of 8GB or 16GB. What’s the best phone to have when dumping your carrier?